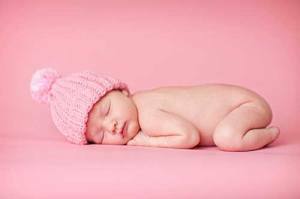 What Affects the Baby Sleep Schedule? The baby sleep schedule revolves around eating. The baby’s digestive system is brand new. He or she must become accustomed to the sensations of food travelling through the stomach and intestines. Breast milk is more easily digested than infant formulas; because of that breast-fed infants usually feed more often than formula-fed babies of the same age. Breast-fed newborns eat every two or three hours for the first month. In some cases, they are awake and hungry in less than two hours. Eating makes them sleepy for several reasons. It is sometimes necessary for new moms to stroke the infant’s cheek or use other techniques to keep the infant feeding for a reasonable amount of time. Feeding makes babies tired, because of the activity involved. They are working muscles in their mouths and jaws that have not been used before. Breast-milk makes them sleepy, because it contains the hormone melatonin. Melatonin plays a role in sleeping patterns throughout a person’s life. It is increased melatonin production caused by darkness that makes us sleepy. Artificial lighting interferes with melatonin production. Adult insomnia specialists often recommend reducing your exposure to artificial lighting if you have trouble falling asleep. On the other hand, artificial lighting does not seem to have an effect on baby sleep patterns or the development of circadian rhythms according to a recent study. Researchers at one time believed that nursery lighting might have an adverse effect on melatonin production. The consensus now seems to be that while lighting might not play a major role, the hospital nursery environment should not be chaotic. It should mimic the desirable baby sleep schedule; low lights for sleeping at night, brighter lights for being awake during the day. There is some scientific disagreement about whether the infant’s circadian or biological clock is fully developed at birth. Most scientists agree that the biological clock of the pre-term infant is not fully developed. They believe the setting of the clock occurs at some time during the third trimester in response to the mother’s circadian rhythms and the melatonin circulating in her bloodstream. On the other hand, researchers have reported that rhythmic melatonin production does not begin until 9-15 weeks of age. Could it be that the infant’s need the melatonin found in breast milk, at least for the first few months? We know that breast-fed babies are healthier. Even though the nutritional content of infant formulas was meant to mimic that of human breast milk, only nutrients believed to be essential for growth were included. 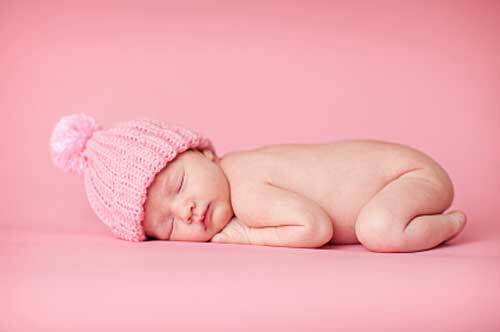 There could be other nutrients that have an effect on baby sleep patterns. Just a few years ago, DHA (Docosahexaenoic acid) was not included in infant formula. Yet the fatty acid is present in breast milk and is now known to be essential for normal brain development. In addition, a lack of DHA in the infant’s diet has been associated with an increased risk of allergies, asthma and attention deficit disorders later in life. A Japanese study conducted in 2007 concluded that higher levels of melatonin in breast milk reduced allergic responses like atopic eczema. Apparently, melatonin is more than just a sleep-hormone. Researchers have spent some time studying baby sleep patterns, primarily because of parent distress. Practically all new parents are sleep deprived. There is an increased risk of parental anxiety and depression following childbirth. What affect parental anxiety and depression have on the developing infant is unclear. Maternal stress has sometimes been blamed for colic, something that could make a new mom even more depressed. The Japanese researchers make an interesting suggestion. They found that when the mother laughed, her breast milk contained more melatonin. In addition to regulating sleep, melatonin regulates mood. A depressed or anxious mom would probably have lower circulating levels of melatonin. As a result, her new baby sleep schedule might be negatively affected. Maybe the solution is to keep Mom laughing. The Japanese researchers suggested that laughter might be a helpful treatment for atopic eczema in infants. Who knows what else it could do?